Awarded to an individual whose broad contributions to Christian ministry have made an immeasurable impact. As missionaries in Mexico and Guatemala, the Lokers have long lived the Biblical mandate to bring the Gospel into all corners of the world by translating scripture into numerous audio formats for non-literate Indian groups and indigenous peoples. We honor their significant contributions through the presentation of the Baylor Pro Ecclesia Medal of Service. Jamie Thomas Loker (BSEd ’82) was drawn to missions at a young age and eventually followed in the footsteps of her parents, Jim (BBA ’50) and Betty (BA ’50) Thomas, in choosing Baylor. Jim dove into mission work immediately after becoming a Christian as an adult. He and Jamie met while studying linguistics for Wycliffe Bible Translators and were married in 1984. As the couple began missionary life together, they took note of how many cultures did not value literacy. With this discovery, a calling was born. The Lokers provide audio Bibles in whatever form they can—cassettes, hand-held digital devices, compact discs or low-frequency radio stations—along with the technology that allows it to be heard. Throughout the process, Jim says their job is to "carry the process through to completion" and make sure everyone has the needed resources. Through the efforts of the Lokers and their partners in the field, translations in over 90 different languages have introduced countless people to the Gospel for the first time. Additionally, they train pastors and equip locals to disciple others long after the missionaries have left. 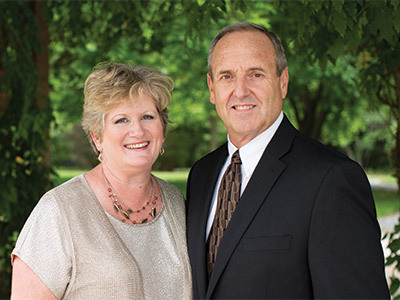 The couple spent 28 years living abroad as missionaries, serving in Guatemala and Oaxaca, a Mexican state they called home for the last two decades as field coordinators for Missionary Ventures. They say that moment when someone’s heart is touched by the Bible for the first time makes everything—the sacrifices of missionary life, raising seven children in different cultures and the continual challenge of connecting with people whose languages and lives are very different from their own—worth it. Today their work continues in a new capacity with their recent transition back to the United States. Jim was named executive director of the Michigan-based Audio Scripture Ministries, a role that will allow the Lokers to coordinate globally the type of work they did in the field. While many view missionary life as a challenge, returning to the United States presents the Lokers with its own adjustments. Not everyone would feel such an internal struggle when returning to family, friends and the comforts they experienced growing up; however, the Lokers say serving the people of Guatemala and Oaxaca was more than a calling; it was a privilege and an honor. Awarded to an individual whose contributions in furthering the mission of Baylor have made an immeasurable impact in the public or non-profit sector. Living and working most of his life in the capital of Texas, Will D. Davis has been a servant leader and an agent of change—committing his life to excellence in education and in the work of the Texas insurance profession. We honor his significant contributions through the presentation of the Pro Texana Medal of Service. An Austin native and standout high school football player for Austin High, Will Davis (BBA ’54, LLB ’54) was always an athlete. He attended Baylor on a football scholarship and played running back for the Bears, competing in the Orange Bowl against Georgia Tech in January 1952. Davis accomplished much during his four years at Baylor, earning degrees in business and law. He was chairman of the Southwest Conference Sportsmanship Committee and editor of the the Baylor Law Review. He was instrumental in developing Baylor’s student government structure and served as the first student body president. He went on to serve as chairman of the Texas Democratic Party from 1965-68 and was a delegate to several state and national political conventions. Raised as an only child by his single mother, a schoolteacher, Davis has valued education for as long as he can remember and has been an active leader in public education at all levels. He was elected and served as a member and vice chairman of the Texas State Board of Education, as a member and president of the Austin Independent School District Board of Trustees and as a member of the Texas Coordinating Board of the Texas College and University System. He has served as president of the Texas Association of School Boards and of the National School Boards Association. Davis was co-chair of the National Citizens Committee, which led to the establishment of the U.S. Department of Education. He helped to found Austin Community College and was the first president of its Board of Trustees. He served as a Baylor Trustee from 1972-1982 and on Baylor’s Board of Regents from 1998-2007, during which he was elected Board Chairman two consecutive terms. During his 50-plus years as a leading legal representative in the world of insurance, Davis worked with major companies, including AIG, American National, USAA and Blue Cross/Blue Shield of Texas. He served as general counsel for the Texas Department of Insurance and as an assistant attorney general of Texas and founded the Heath, Davis & McCalla law firm. Davis has made Baylor part of his family legacy and has generously supported Baylor Law School, Student Foundation and Baylor Athletics. 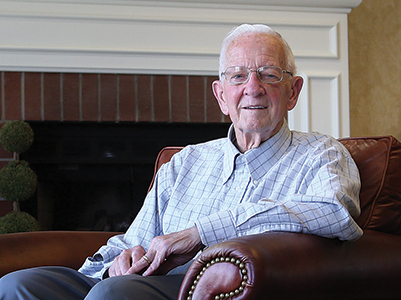 He and his late wife, Ann (’52), have three children: Lisa Davis, Lynn Walker (BS ’82) and Dr. Will Davis Jr. (BA ’84); nine grandchildren (four of whom are Baylor grads), and two great grandchildren.